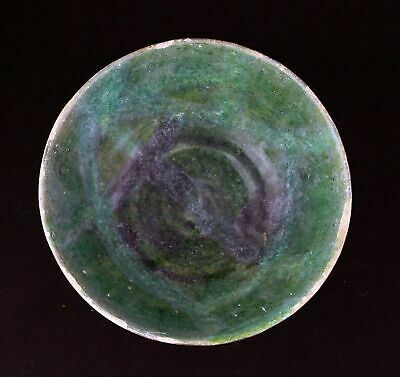 *SC*NICE GLAZED MEDIEVAL ISLAMIC POTTERY BOWL, 11th-12th. cent. AD! 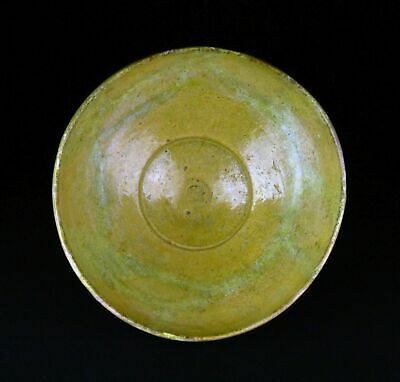 Seller: saruman.com (3,270) 99.3%, Location: Frederiksberg, Ships to: Worldwide, Item: 333121176043 dag1 About us Authenticity guarantee Payment & shipping NICE GLAZED MEDIEVAL ISLAMIC POTTERY BOWL, 11th-12th. cent. AD! 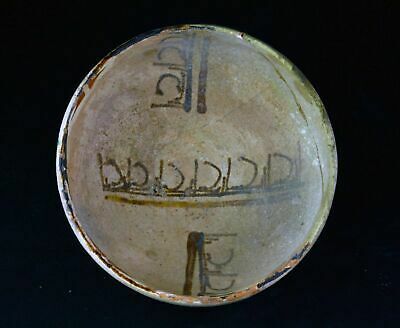 A nice white glaze Islamic pottery bowl from Western-central Asia, dating to 11th-12th cent AD. 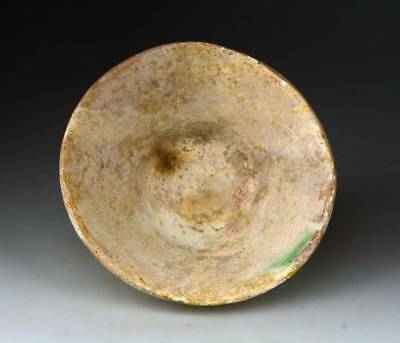 The dish has a narrow base and straight walls. Size is c. 11,8 x 5 cm. - c. 5,7 x 1,95 inches. Condition: Choice for age and type - some restoration and repaint, typical for these types with mending and some repainting of joint areas. Ex. Danish private collection. Est: $200. Start: $69. 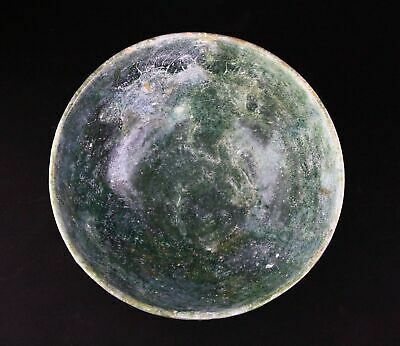 About: Senatus Consulto specialize in ancient coins and antiquities from European and Asian cultures. 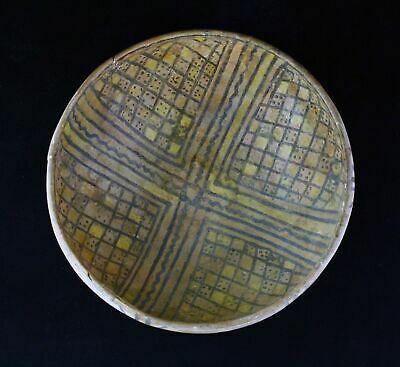 In general we offer antiquities from a period spanning from the Neolithic ages throughout the Bronze and Iron ages and well into the Middle ages. Our stock is aquired from large and well known danish estates or collections often formed in the beginning of the 20th century. Authenticity Guaranteed: Senatus Consulto fully guarantees all artifacts and coins to be genuine in every aspect unless otherwise stated in the item description. Any detail regarding an antiquity that is not known to us, will be noted as such. All artifacts and colltibles are accompanied by an invoice which also function as a Lifetime Certificate of Authenticity. Any item significantly deviating from the information provided by us regarding culture and dating, may be returned for a promp refund excluding shipping and handling. Payment & shipping: Buyer pays shipping & handling costs*: Weight EU* US & rest of the world 500 gram $20 $22 IMPORTANT: EU-CUSTOMERS PLEASE NOTIFY - SO YOU WILL ONLY BE CHARGED EU-SHIPPING RATES. *We ship by reg. airmail, using Postdanmark as carrier - www.postdanmark.dk YOU ONLY PAY ACTUAL SHIPPING PRICES!! Our shippingrates are in accordance with their standardprices. Check-out the pricecatalogue of Postdanmark here Shippingrates: Weight EU US & rest of the world 50 gram $13 $13 100 gram $15 $16 250 gram $17 $19 500 gram $20 $22 1000 gram $24 $30 2000 gram $30 $39 5000 gram $42 $72 10000 gram $63 $118 15000 gram $75 $176 Combined shipping: If you buy multiple items, you'll only pay one shipping fee. Payment options: Paypal We will convert your final bid from US$ to £ and Euro and accept payment in these valutas and other European valutas at the request of the highbidder. Eurochecks drawn on Euro country banks only. US$ checks drawn on US banks only. ** You can collect your purchases of a period of up to 30 days in one transaction, but please advice. (Credit max. of $1.000 for first time customers. *** Condition: Choice for age and type - some restoration and repaint, typical for these types with mending and some repainting of joint areas.